Manchester City boss Pep Guardiola has said that he won’t use tiredness as an excuse ahead of the midweek league game against West Ham United at the Etihad Stadium. The Mancunian giants were pushed to their limits during the League Cup final last weekend after they managed to only beat Chelsea in a penalty shoot-out. During that game, the likes of Aymeric Laporte and Fernandinho were brought off the field with injuries and it has now been confirmed that the duo will miss the Hammers game alongside John Stones, Gabriel Jesus and long-term absentee Eliaquim Mangala. 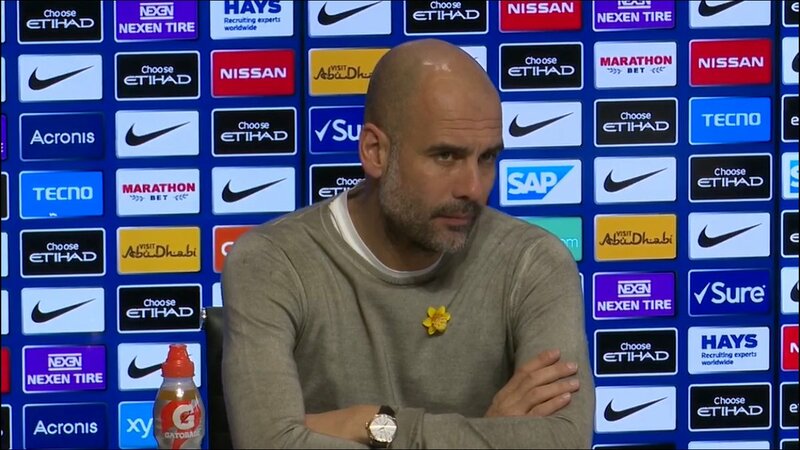 Speaking in a press conference, Guardiola said that he won’t take excuses for tiredness from the existing players and he wants the commitment from the team as they seek to retain their league title. Manuel Pellegrini has expressed confidence that Manchester City will reclaim the title next season. The former Premier League champions were expected to put together a much better title defence than the current campaign. After being in touch with Chelsea on New Year’s Day, City could have easily finished much lower than the eight point deficit between them and eventual champions Chelsea. This is following a spectacular run of poor form during March. Pellegrini’s job appeared under threat immediately after the end of the campaign, but he now looks set to stay as the manager. Manchester City’s title defending season has been hit with a few road blocks in this season as Chelsea are rampaging right through everything in its path as the team of Jose Mourinho are riding high at the top of the Premier League with 29 points, they still remain undefeated after 11 league matches. Southampton is in 2nd place with 25 points and Manchester City is following them behind with 21 points but Manchester City could have dropped a few spots if it wasn’t for Sergio Aguero.